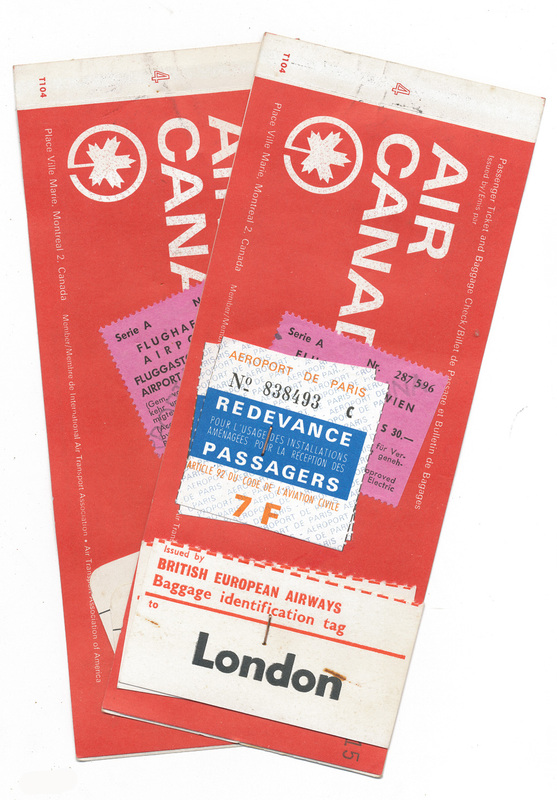 Two airplane tickets, dated July 1966. 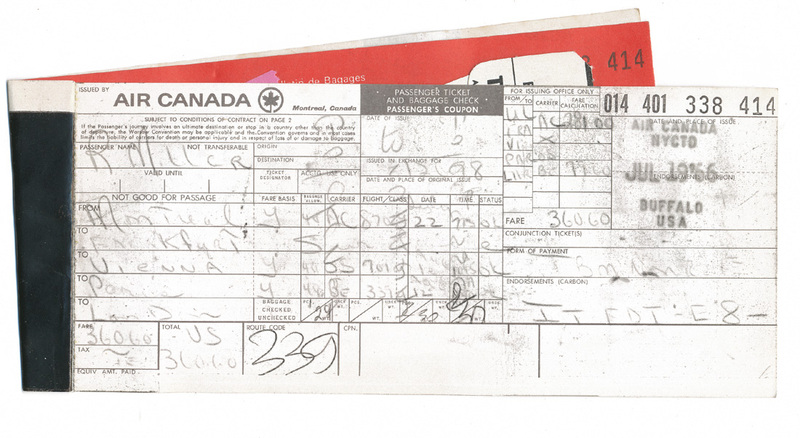 Look like it was quite an itinerary, Montreal, Frankfurt, Vienna, London. 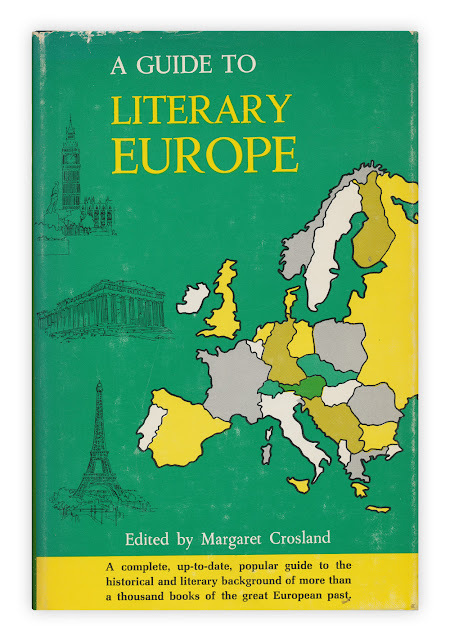 Found in "A Guide to Literary Europe" edited by Margaret Crosland. Published by Chilton Books, no date listed, circa 1960s. Wow. I can remember when plane tickets were actual tickets -- pieces of paper that you weren't supposed to lose. Those existed right up through the 90s.